A high-quality book containing invaluable information on homeopathy for self-help as well as comprehensive details of our best-selling range of single remedies. NB: This book is available to South African customers only, for courier delivery or collection. All remedies recommended in this book are available from The Remedy Shoppe – see our Maestro Range. 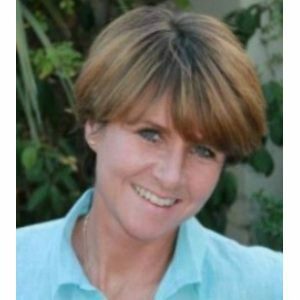 Eugenie Rowson became passionate about homeopathy as a young mother, and later qualified as a homeopath in the UK. “When I first learnt about homeopathy the book I used as my homeopathic ‘Bible’ was ‘Homeopathic Medicine – A Doctor’s Guide to Remedies for Common Ailments’ by Trevor Smith. It helped me treat my family for many years. Later, when I was fully qualified another similar book was launched ‘The Barefoot Homeopath’ by Madeleine Harland and Glen Finn. I used to recommend this book to patients who showed interest learning more about homeopathy to treat their family with first aid remedies. Incidentally, Glen Finn was Managing Director of the British Institute of Homeopathy until his untimely death, and his wife Elisabeth was the first to introduce me to homeopathy. 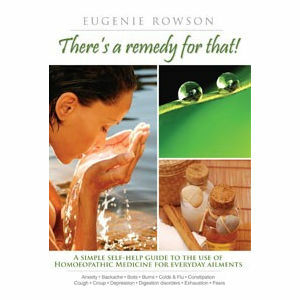 This latest book, just released is called ‘There’s a remedy for that!’ by Eugenie Rowson. Eugenie did her homeopathic training with the British Institute of Homeopathy and I was her tutor. Like many of our students she now has a thriving practice and is well thought of in South Africa where she now lives. She has had the loving and caring support of her husband and family through her years of learning to treat her family and then becoming a practitioner. Her book is so modern – bright, light and colourful, and most of all enjoyable whilst it imparts knowledge of homeopathy and remedies for all the family’s main needs. There is a prologue giving personal details followed by an introduction explaining how she came to homeopathy in desperation as a new mother living in remove areas of Africa. This is followed by a brief but easy to absorb history of homeopathy. There is a section about how to take the remedies and what to expect. The largest part of the book as expected is an A – Z of common ailments with many cross references. Headings such as ‘Abscess, boils, septic spots and splinters’ and ‘Eye inflammation or strain, conjunctivitis, styes, injury and blocked tear duct’ are very helpful and can be found in the useful index. There is a small list of possible remedies with the main remedy highlighted and extra information given in a coloured box. Throughout the pages are short very interesting stories of Eugenie’s life in Africa and Northern Ireland, of her husband and family of five children. These stories, along with details of her own experiences as a new mother, some comic, some sad, make the remedies ‘come to life’ and would surely inspire continued interest in homeopathy. Also included is a list of remedies that disagree.